Festival HOLI (also known as The Festival of the Beginning of Spring / The Festival of Love and of course, as the Festival of Colors) – it is an ancient Indian festival with many traditions and rituals. Holi is known as a cheerful holiday in honor of the victory of good over evil and involves all family members, young and old. One of the main rituals of the festival is a game of colors, during which participants shower each other with colored powders. In this way, the Indians purify the world and themselves from evil, defeat the evil and with the arrival of spring, expect more mercy from nature, the arrival of happiness and joy to every home. 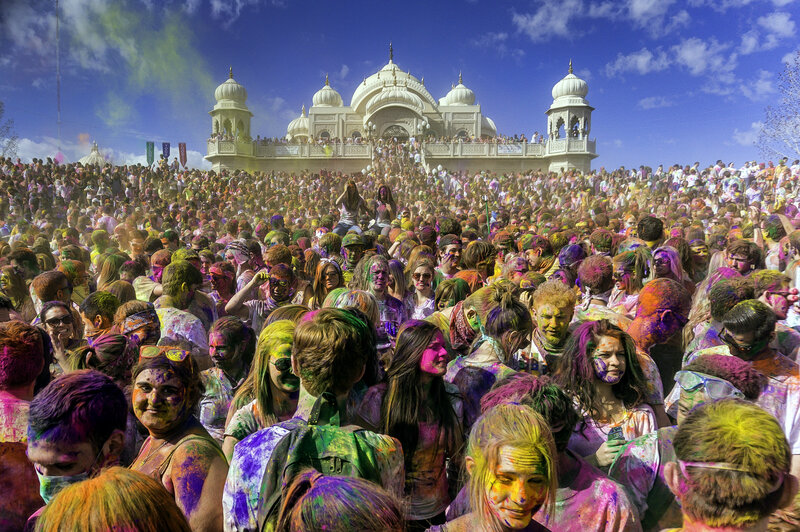 Holi festival of colors – the most cheerful Indian festival, and now also known almost all over the world. Excitement and joy is felt by everyone. Participants rush to stock up powder in different colors to pour it on the heads, faces and clothes of other participants. Participants of the festival often compare the amount of colors on people and hope to become the brightest guests of the festival. The legend says that the more colors there are on a person, the more good wishes he has received.